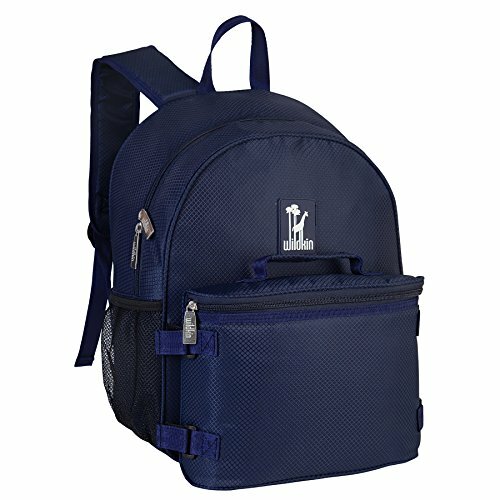 You no longer need to carry your lunch box and backpack separately! The Wildkin Bogo backpack includes a detachable, insulated lunchbox of the same pattern as the backpack. Backpack: 15x 12x 5.5in. Lunch Bag: 7.75x 10x 2.5in.. Dark Blue diamond weave pattern with red border. You no longer need to carry your lunch box and backpack separately. Our backpack includes a detachable, insulated lunchbox of the same pattern as the backpack.